While nowhere in the world celebrates Halloween with quite the same gusto as America, that’s not to say that Europe – with its ancient ruins, gory history and fascinating folklore – isn’t an amazing place to be on October 31st. 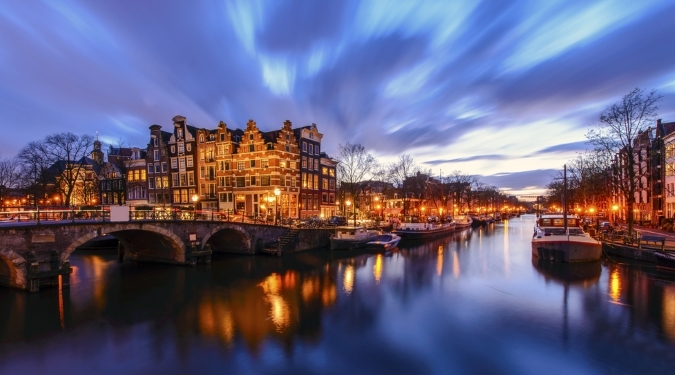 If you want to scare yourself silly, some unforgettable celebrations can be found a short ferry ride away, in three of Europe’s most fright-filled cities. Contrary to popular belief, Halloween wasn’t invented by American candy companies. In fact, the ghoulish holiday finds its roots much closer to home. Thousands of years ago, ancient Ireland marked the end of the harvest season with the festival of Samhain. On this supposedly supernatural night, the superstitious pagans believed that spirits would cross into the mortal world to cause trouble and strife. Historically, the holiday was wrapped in protective rituals. People played games with apples and nuts to honour their yield, while rural communities carved turnips and potatoes into lanterns to ward off evil spirits. Today, no one does Halloween quite like Northern Ireland. 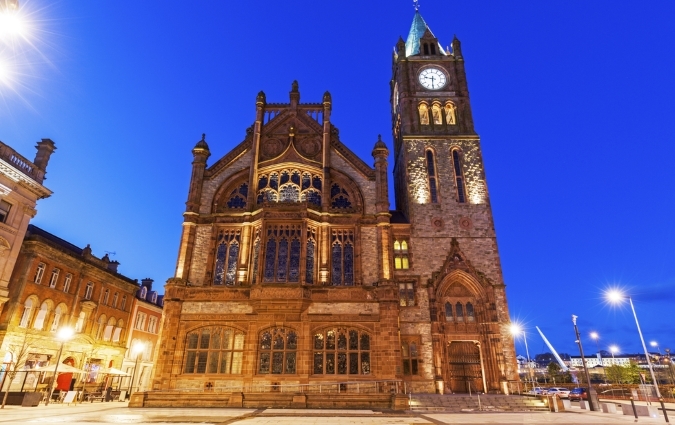 And nowhere in Northern Ireland does Halloween like Derry. Every year, the city stages a mammoth event honouring the pagan roots of Halloween. Taking place over four days, the Banks of the Foyle Halloween Carnival has been a mainstay for over 30 years, attracting over 50,000 spooky revellers each October 31st. The noisy, fantastical pageant is the biggest Halloween event in Europe and highlights include the Museum of the Moon, a Monster Fun Fair, a Carnival Parade and a dazzling fireworks display. Over the last couple of decades, Amsterdam has wholeheartedly embraced Halloween. Indeed, the hedonistic city is now one of the best places to party on All Hallows’ Eve. Wander round the misty canals on the night of October 31st and you’ll find throngs of fancy dress events that carry on until the small hours. But if you truly want to party in style this Halloween, look no further than Amsterdam Spook’s unsurpassed offerings. Driven by a passion for the art of SFX, costumes, horror and storytelling, their boundary-pushing parties are legendary, yet their Halloween event is their magnum opus. The location and subject changes each time, and guests are invited to interpret the year’s theme however they like. Previous instalments have included ‘Freak Show’, ‘Mad Science’ and ‘Day of the Dead’ – and the effort people put into their costumes is pretty spectacular. This time around, the 17th edition of the fright-filled night will take on a curious Toyland theme, and the party will happen in Tolhuistuin. Though be warned – fans can spend a full year crafting their costumes, so you’ll have to go a bit further than cutting a head hole in an old bedsheet to cut the mustard. Parisians – and indeed most French people – do not celebrate Halloween in the traditional sense. You’ll be hard pressed to find many children dressed up as ghouls and witches trick or treating around the Latin Quarter, but who’s to say that chills and spooks are exclusive only to Halloween? With more than two thousand years of recorded events under its belt, the City of Lights has seen more than its fair share of scares. 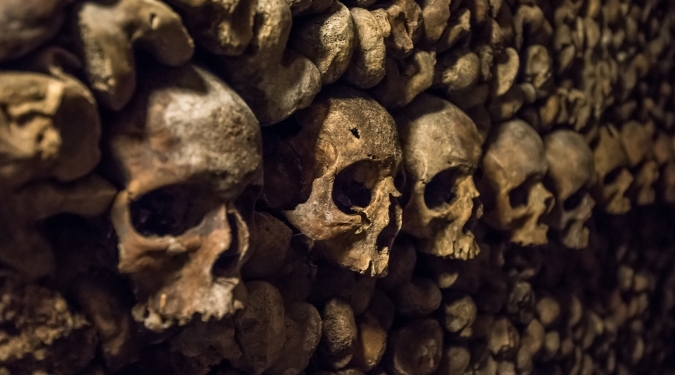 Costume or not, head down to The Catacombs in Paris. This 300km labyrinth beneath the city is the final resting place of over 6 million people from across the centuries, and as such, a chilling atmosphere permeates the air. See the tunnels for yourself at Place Denfert-Rochereau, where you’ll be offered a guided tour of this mass tomb. For something a little lighter but still Halloween appropriate, check out the world’s only Vampire Museum in Paris. Run by self-proclaimed vampirologist Jacques Sirgent – an English teacher and Bram Stoker translator by day – this curious museum offers an assortment of odd objects and trinkets to marvel over. Inspired to get away this Autumn? Have a look at our adventure page for more ideas.